Remodeling a home is a big undertaking. With any big project, it’s possible for things to go wrong. Home renovation mistakes can most often be fixed relatively easily, but in some cases, they can be catastrophic. Through pre-planning and paying attention during the renovation process, most home renovation mistakes can be avoided. Proper renovation projects require extensive preparation and evaluation of the renovation site. 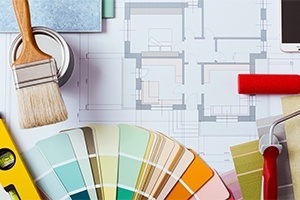 If a renovation plan is scheduled, homeowners can ensure they and the contractor are on the same page. This renovation plan can help determine a work timeline and the scope of the job. It’s possible to find existing issues with electrical lines or plumbing systems when renovating a home. It’s important for homeowners to address these problems to avoid more problems in the future. Though the renovation cost may increase, it will save you from costly repairs in the future. Renovation projects can be expensive depending on the materials used. To ensure the final product meets the homeowner’s standards, it’s important to use quality materials. By skimping on quality materials to save money, they finished product will be less likely to stand up to wear and tear over the years. Determining load bearing points within a home is an important step in starting a renovation. If this step is neglected the house could collapse and cost more than the renovation ever could. Never start a project without the contractor. It is important to heed their recommendations and let them take control of the project.